OXFORD, UK – December 12, 2018 – In Walt Disney Pictures’ latest holiday blockbuster, The Nutcracker and the Four Realms, filmmakers create a stunningly beautiful and romanticized version of Victorian London, complete with 19th-century families celebrating the holiday season. One scene of Christmas revelry includes several people ice skating against a backdrop of the fictionalized London, which required an unusual setup. To create these moving characters on ice, VFX house Audiomotion used its Vicon motion capture system to turn its studio into an ice skating rink – minus the ice. Although Vicon’s motion capture cameras have been used to film movement on ice before, the additional challenges of working on a frictionless surface compound the issues for performer and filmmaker alike. Audiomotion instead came up with a simpler solution: Rather than taking the performers to an ice rink, the team created an ice-free ice rink inside Audiomotion’s studio. Six skaters were brought in -- three professionals, two amateurs and one scene-stealing three-year-old -- and given rollerblades. They then performed as if they were on ice, while Vicon’s Vantage recorded their full range of movements. The data was then sent to Vicon’s Shogun software to animate the characters. 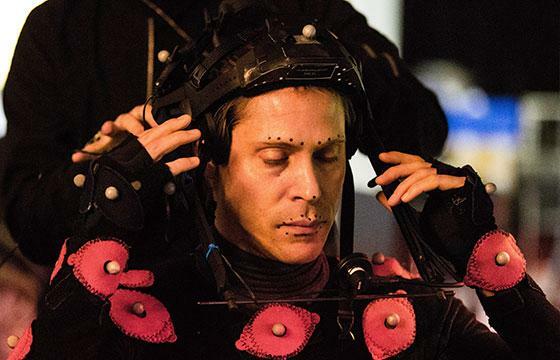 Along with the ice-skating, Audiomotion worked with filmmakers to create several other mocap scenes throughout the film. Over the course of five days, performers rehearsed and shot scenes of varying degrees of physicality, from playing in the snow to diminutive clowns attacking the main character, Clara (Mackenzie Foy). 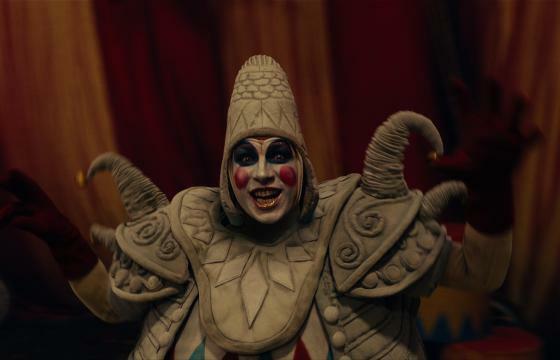 For the action scenes, Audiomotion worked with the stunt team to help breathe life into the polichinelle, small, acrobatic clown-like characters that serve Mother Ginger (Helen Mirren). Recording the tumbles and fluidic movements of the polichinelle took two full days. Audiomotion also supplied the film with several background characters to help bring the digitized London to life. Another benefit to creating the winter scenes inside rather than on location was the ability to be flexible. Through a modular stage setup and Vicon’s optical systems that can change capture volumes on the fly, performers could incorporate props and alternate actions, while tracking the results in real-time using Vicon’s Shogun. The 5-day session also saw The Nutcracker and the Four Realms pay homage to the famed musical production, leading Audiomotion to capture performers ballroom dancing, engaging in traditional Russian dance and performing ballet, all in precise detail. All work was completed at Audiomotion’s Oxford, UK studio, which contains three separate stages offering 60-by-40-by-20-feet volume for wire work and large scale capture. The studio also features two smaller capture volumes for either green screen mixed reality capture, or cut scenes for virtual reality. In total, the studio features 160 Vicon cameras, each feeding to Vicon’s Shogun software. Disney’s The Nutcracker and the Four Realms is based on the short story, The Nutcracker and the Mouse King, written in 1816 by German author E. T. A. Hoffman. That story was then adapted into the famed ballet, The Nutcracker, by choreographers Marius Petipa and Lev Ivanov, and composer Pyotr Ilyich Tchaikovsky. Disney’s adaptation takes inspiration from both. The film begins in Victorian London on Christmas Eve and centers on Clara, a young woman still mourning the death of her mother. When a mysterious box leads her into a hidden world of fantasy and magic that is at war, Clara begins to understand that her destiny may be bigger than she ever dreamed. The Nutcracker and the Four Realms is currently in theaters across the United States and Europe, and was recently selected as one of the Academy of Motion Picture Arts and Science’s contenders for the Best Visual Effects Oscar nomination. The film made its debut in Russia, the home of the Nutcracker ballet, on December 8. Image provided by Disney Enterprises.